Nice arrows Jay. 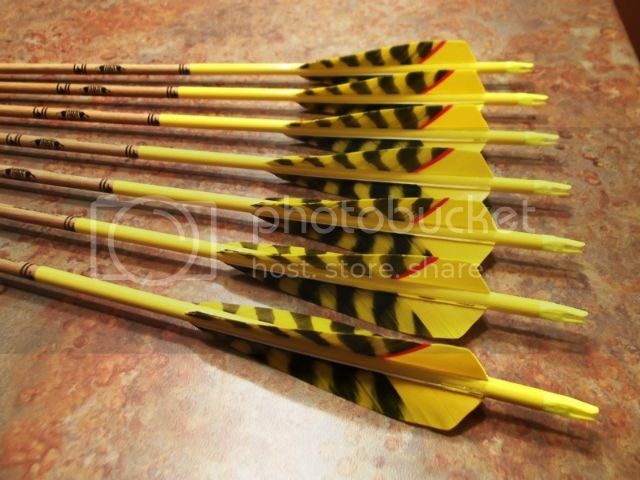 You know guys, I can line up some rocks/wall to try out those footed arrows at the shoot. Here's some I just redone. Had to practice up on my membrane splicing. Nice looking arrows Chris. Thanks for the offer on the rocks, I bet I'll be able to find some as it is.